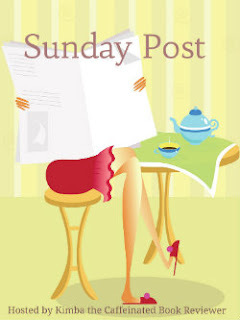 The Sunday Post 1.27.2013. Well, I missed a couple of things, but still did well. Songs of the Week 1.28.2013. I heard so much different music the previous week that I had to dazzle you with a list full to the brim with randomness. Links to videos and lyrics included! Not everyone would do that for you, but I think you’re worth it. I couldn’t think of a longer title, so Tuesday I posted Release Day Book Review: ‘Shadowhunters and Downworlders: A Mortal Instruments Reader’ edited by Cassandra Clare. Whew. I participated again in “Waiting On” Wednesday. Especially now that I have finished book #2 of the Ruby Red Trilogy, I can’t wait for Emerald Green by Kerstin Gier to be published. Thursday I posted by review of Sapphire Blue by Kerstin Gier. It is book #2 mentioned ^ ^. Saturday I posted my third review of the week for If I Stay by Gayle Forman. I will warn you now: get some Kleenex (or whatever your go-to brand is). I know I sound like a broken record (remember those?) when I repeatedly say I am going to do something and I don’t. At least the thing I don’t do changes, right? At least there’s that? Anyway (it is NEVER ‘anyways’), for the second week in a row I have not gotten my next INKlings interview together. And, for some reason, I can’t access my copy of The Talisman of El that I have on my tablet, so that has not gotten read (yet) again. You may have noticed I didn’t to the Top Ten Tuesday this week, either. I was feverishly finishing the Mortal Instruments reader, so I didn’t have the energy to try and figure out what book characters that frustrate me the most. I also saw The Diviners and Delirium as possibilities for movies. Who’s excited about City of Bones and Catching Fire? Let me know if you see mentions of any other books being turned into movies. I keep a list on IMDb. I am so tardy to th’ party on this one, but I finally sat down and started Season 1. Like it a lot so far. It might be better if it had vampires and took place in the South, but the jury’s still out on that one. I also won a couple of cool bookmarks and a key keychain (do you follow?) from YA Vixens as a giveaway for The Archived by Victoria Schwab. Thanks, ladies! I have read Splintered by A.G. Howard and will post my review this week. I am going to (hopefully) speed through Heist Society by Ally Carter so when I read Double Crossed later in the month, it will make complete sense. One day this week I will pull out the ol’ tissue box and read Where She Went by Gayle Forman. An ARR is due on Friday for Foxblood: A Brush with the Moon by Raquel Lyon. The memes that I do weekly (The Sunday Post, Songs of the Week, Top Ten Tuesday, “Waiting On” Wednesday and Feature and Follow Friday) will most likely be done this week as usual. The four books that I am reading that release on February 12th will be started this week. What’s in the hopper for you? Thanks for having the giveaway! It’s fun to win! As for BC…sorry *cringes* I am not a big fan. I saw the authors at the Austin Teen Book Festival last Sept and was really excited to read the series. I read the first 2, but they didn’t do much for me. I did review the first one on my blog. As for the movie, I’ll go if it gets a good review. I am in agreement with many online who think the actor who plays Ethan looks too old. It does have powerhouse secondary character actors (Viola Davis, Emma Thompson, Jeremy Irons, Margo Martindale). Maybe I’ll enjoy the movie more. Took my 13 yo daughter and she loved it. The gross factor is pretty minimal (for a zombie movie) though they say the f word once and the b word once and prob the s word as well. The f and b words are used for comic emphasis. There are some zombies called Boneys that are skeletal and scary, and they show close ups. There was ayoung boy there when we went, prob 10 or so. I guess i would say that if your son doesn’t get scared by zombie-type stuff (eating of humans, humans screaming, zombies themselves, humans shooting zombies, the sight of blood on a zombie’s face, that kind of stuff). Hope that helps without giving anything away. A really good source for this very question is http://www.commonsensemedia.org/. They will tell you exactly what you need to know in an unbiased manner. The lead girl strips to her underwear (back to camera) once, but I think they show that in the commercial! OK – I’ll send you an email tomorrow. If I Stay is on my TBR list! Oh and I LOVE Downton Abbey! Looking forward to watching it tonight! I hope book 2 is as good. It always seems promising if the second book changes location – makes it a bit harder to be too much like the first one. Though spending the entire book in a hospital bed would make anything else different! I have to catch up 2 Downton on Netflix – I think they only have season one on there, tho. Nice haul. I love Splintered, hope you did too. Happy reading. You’ll find out for sure tomorrow…*whispering* but I did.